Venezuela’s opposition leader Juan Guaidó has dismissed warnings from President Nicolás Maduro the country’s political crisis could spark civil war. Mr Maduro said that whether there was war would depend on the “madness” of the US and its allies. 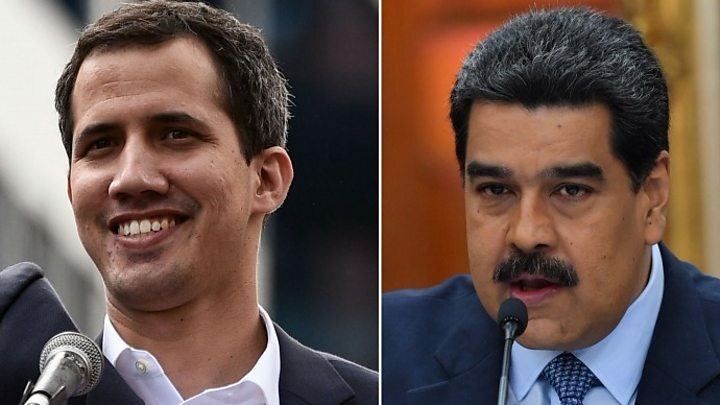 But Mr Guaidó rubbished the suggestion as an “invention” of his presidential rival. 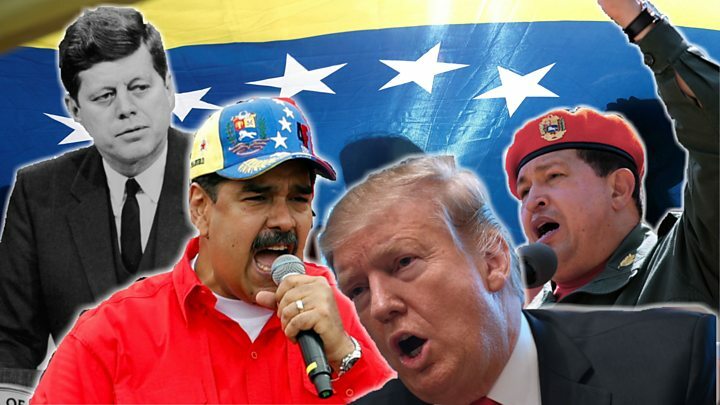 In response, Mr Guaidó, who is head of Venezuela’s National Assembly, said the constitution allowed him to assume power temporarily when the president was deemed illegitimate. Asked on Spanish television if the crisis in Venezuela could lead to civil war, Mr Maduro said “no-one could answer that question with certainty”. The US has said military invention remains an “option”. At least 16 EU countries have officially recognised Mr Guaidó as interim president of Venezuela. Many have issued statements urging Mr Maduro to hold new elections. Mr Maduro retains powerful allies, most notably China and Russia, who has accused EU countries of interfering in Venezuela’s affairs and attempting to “legitimise usurped power”. In his speech Mr Guaidó, who is trying to organise aid deliveries, said the military faced “an important choice” when aid arrived at the border.